This Vancouver based Hockey School is dedicated to delivering a great experience for all participants. No longer a beginner? Refine your skills with the Intermediate Skating and Agility Camp. This camp will teach campers different skating techniques, challenge their edges and leave them a fundamentally stronger skater. The structure of this program includes 1 hour of on-ice training and 90 minutes of off-ice training, with time in between to get dressed and refuel. 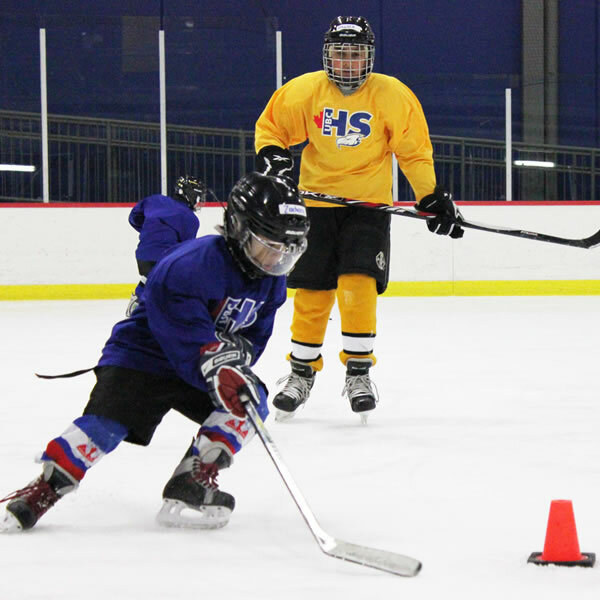 Pair this camp with the Intermediate Stickhandling and Shooting Camp to create a full-day hockey experience! Full hockey gear required – click here to review our full-gear inventory. The structure of this camp includes 1 hour of on-ice training and 90 minutes of off-ice training, with time in between to get dressed and refuel. Beginners Skating, Agility and All-Hockey Skills Camp is perfect for your little skater looking to try hockey for the first time! This camp is open to all members of the public, not just those involved with the Junior Thunderbirds Program.